Deck the Halls with Boughs of Bugs?! With many areas of the country cleaning up from fallen leaves and some areas already reporting the first snow of the season, people are consumed with the hustle and bustle of the upcoming holiday season and may not be focused on pest problems. But, the first snowflake that falls doesn’t mean pest populations have disappeared and should be forgotten. Although several types of bugs do die off or find a place to hibernate when the temperatures drop, the National Pest Management Association (NPMA) cautions homeowners that infestations are still possible during the winter months. As the holidays approach, many things that we associate with tradition and seem innocuous can present the danger for a possible bug infestation. Besides the obvious culprits like trees and wreaths, gingerbread houses, strings of popcorn and even Santa’s cookies are all fair game for ravenous critters. Don’t be like Chevy Chase in National Lampoons Christmas Vacation when he chops down a tree from the great outdoors and then comes face-to-face with a squirrel after the tree is fully decorated in his house! ‘Tis the Season to be Bug Free! Check greenery for insects: Spiders, mites, moths and other bugs have been known to nest in live greens, like trees, wreaths and garland, which are popular décor during the holidays. Do a thorough inspection of any greenery you plan to decorate with before bringing it indoors. Inspect your holiday décor and store it properly: Attics, basements and garages are where most people store their decorations. And it’s the perfect resting place for all kinds of pests. Before bringing decorations into the main living areas of the home, it’s imperative to unpack all boxes outside and inspect them carefully for signs of a potential infestation, such as gnawing marks or rodent droppings. When it’s time to pack up, be sure that all your decorations are secured in hardy containers that rodents can’t get to. No cardboard or plastic bags! Keep firewood away from the home: If you are planning to entertain guests around the fireplace, be sure to inspect all firewood before bringing it indoors. Bugs such as spiders, termites and ants can easily hitch a ride inside. Outdoors, firewood should be stored 20 feet away from the house and ideally on a raised structure, such as concrete blocks. Don We Now Our Remediation Apparel! At Braman Pest and Termite Elimination, we take the stress out of your holiday planning. 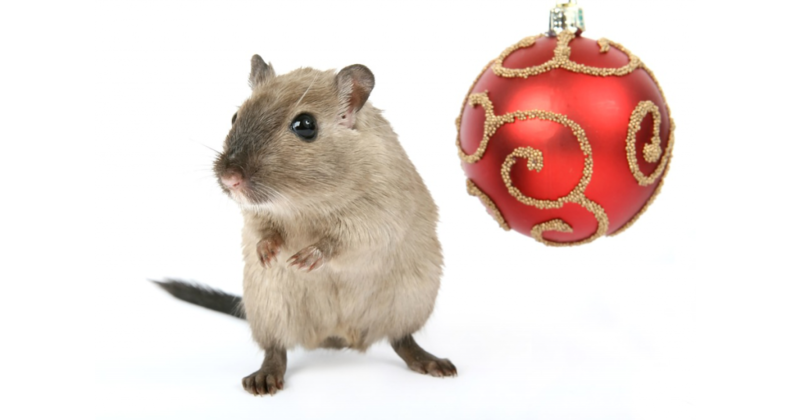 The holidays are a busy time of year and it’s often easy to overlook signs of pests in the mad dash to check items off the “to-do” list. Yet, adding pest detection and eradication to the list can help eliminate stress and save money. So, when the family gathers around the tree to throw on the tinsel, be sure that a mouse hasn’t decided to join in the fun. And with 24/7 service, we can help ensure your tree shines bright, no matter what hour of the day. If you think you might have an infestation, contact us immediately! 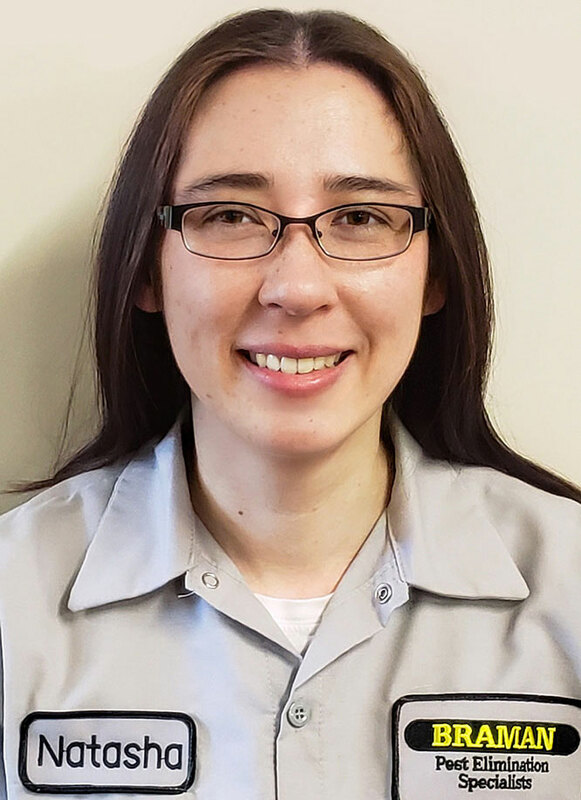 Natasha is a board-certified entomologist and a member of the Entomological Society of America. She earned her bachelor’s degree in entomology at the University of Florida in 2009 and received her master’s degree in entomology at the University of Arkansas in 2013. Natasha says as long as there are humans, they will need pest control.